My husband's vanguard was approved yesterday. I think that it is the first vanguard that was approved since this CS exists. It is definitely the first one at the German Base Yavin. I finished my gaiters this morning. Mine were a little tricky to make because of the shape of my calves. The top opening is 54cm and the bottom opening is only 40cm. Here are some photos. Mine are the ones on the left. 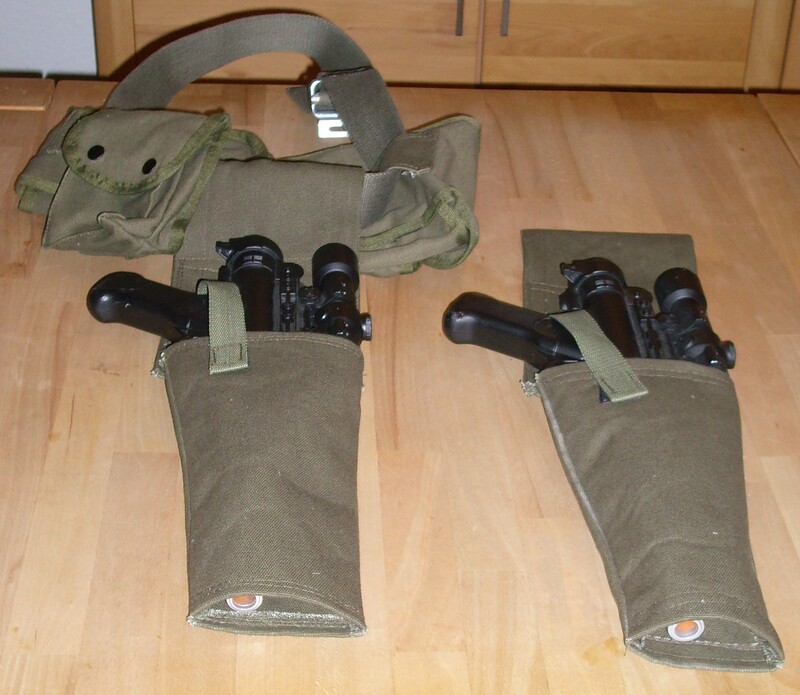 On the right are my husband's gaiters. I just could not motivate myself to work on my seminar paper today. Instead, I finished my holster. My costume is now complete. My husband is going to take my photos this weekend. Very nice job. I am motivated to do one myself! I love the holsters. Thank you. Cool, the more Vanguards the better. 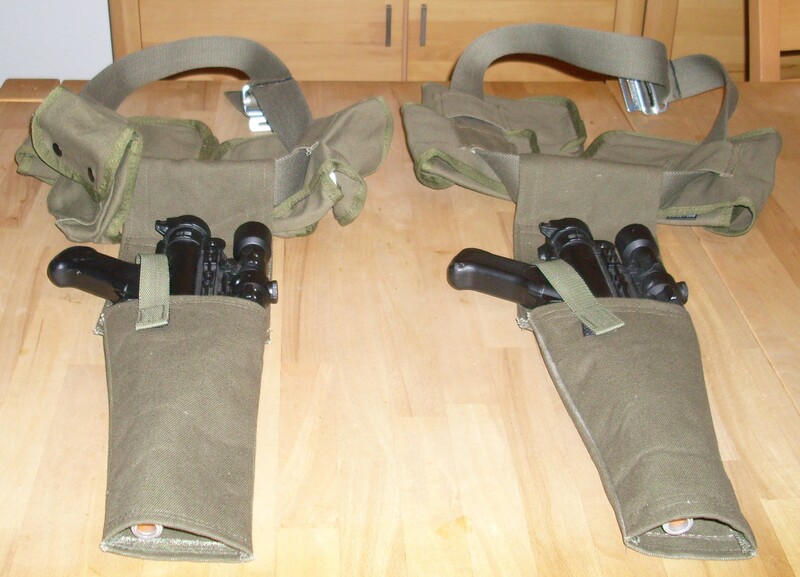 I was a little bit worried about the holster when I made the prototype, but the olive canvas version turned out great. The two layers of iron-on fusible interfacing and the canvas from the MIL-TEC duffel bag that I cut up made a huge difference in the end. I just checked my Emails and found out that my Rebel Vanguard was approved yesterday evening. My husband and I will be wearing it for the first time at LuxCon in Luxembourg on the 14th of April. It is our first official event for this year. LuxCon was also the first event I wore my RFT ANH in 2017. Good job finishing and being approved!